Made to HO train scale, the plans were from a woodworker magazine. The build is described ion the Folk Art in the Bottle web site. 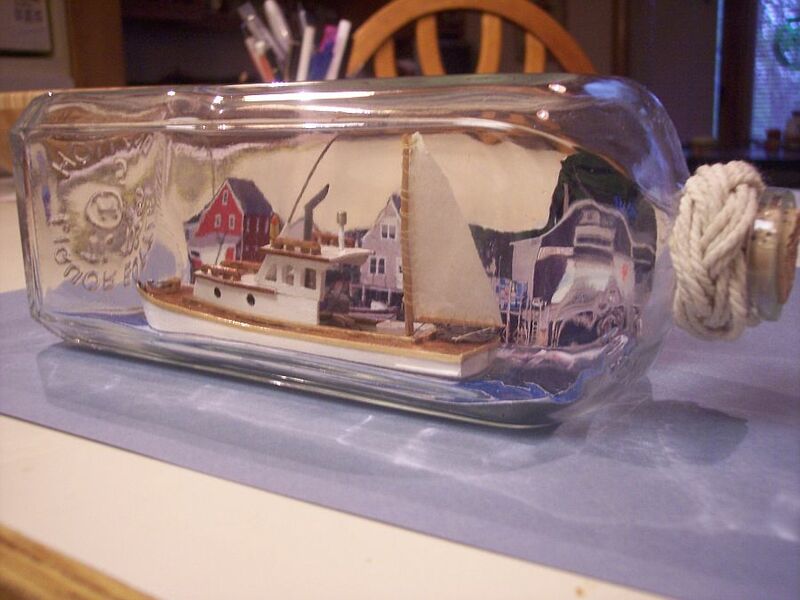 Nice Ship in a bottle. This one tells the story well.